Using modern technology such as telephones, email, and digital photography, you can live next door, or a world away, and we can still accomplish many types of virtual organizing projects together. …the gap between distances — Don’t live in Albuquerque? No problem! …the gap between services — Not all coaching and maintenance advice needs to be delivered during an in-person, hands-on session. …the gap between budgets — Think you can’t afford my services? What if you could pay for one hour at a time, rather than three? 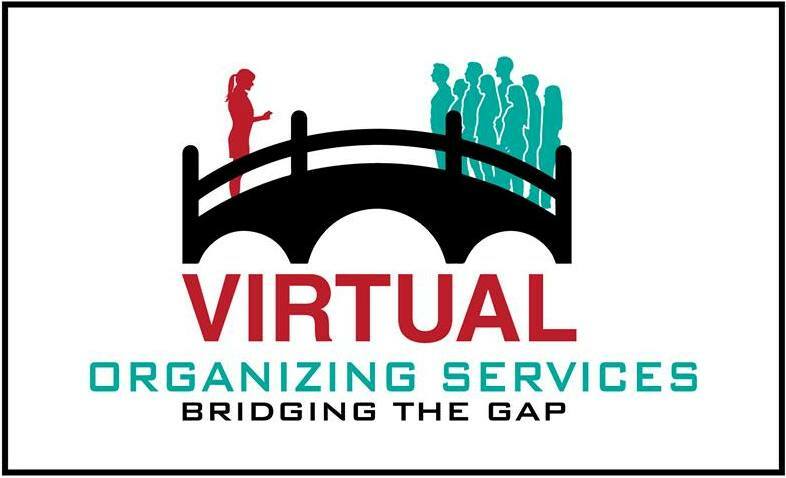 Virtual Organizing is a way to bridge the gap between distances, services, and budgets. 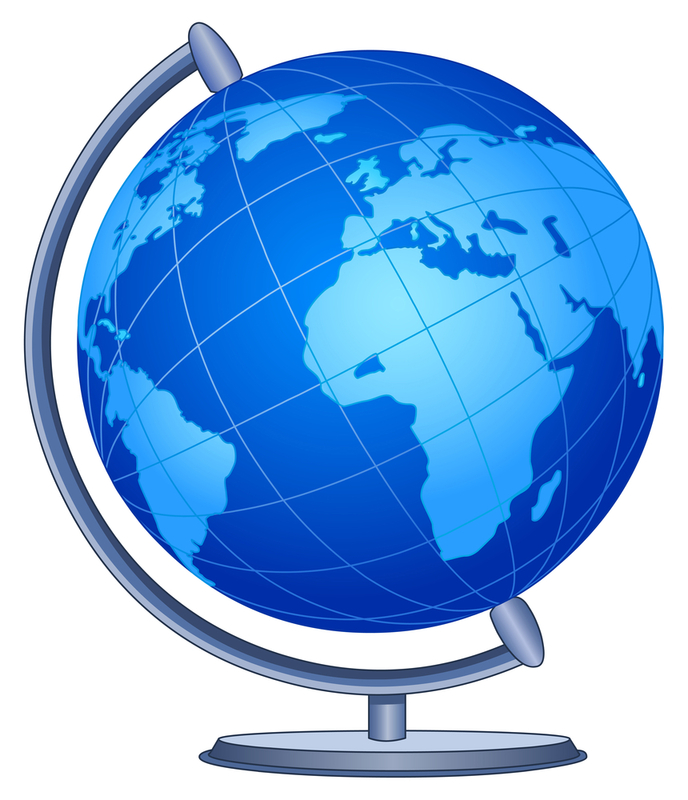 What services can be provided virtually? 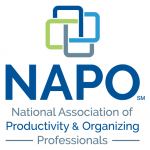 The phrase “bridging the gap” and this logo are courtesy of NAPO colleague and VO instructor Sheila Delson. Perfect for DIY-ers. You really want to do-it-yourself, but you could use a little direction and support, right? Based on your goals, I will help you plan your project and overcome any roadblocks you may encounter. I will help keep you motivated, focused, and accountable until you complete your project! More affordable than my in-person hands-on help because there’s no 3-hour minimum. We may choose to schedule longer sessions, depending on your situation, but the minimum VO session is only 1 hour. Greener. Even if you’re local, VO is more affordable because I don’t have to spend time and fuel costs getting to and from your location. It’s environmentally beneficial, and I pass the savings on to you. Shorter VO sessions can be combined in a package with longer Hands-On sessions. Easier to schedule. Shorter sessions are easier to squeeze into your busy schedule, including some weekends and evenings. If I’m not there I can’t physically help you sort through your belongings, carry donations out to your car, measure your space, or rearrange your furniture. You’ll need to be physically able to do that, or have someone to help you. But I can talk you through it, and help you figure out your next steps. That’s about it, unless you have no computer skills whatsoever, but I know you DO because you are reading this article online! Just try it! What do you have to lose? My services are guaranteed, after all. If you aren’t sure how VO might work for you, let’s discuss. Just click here to schedule your free 20 minute telephone call. Another way to sample Virtual Organizing is to take advantage of my Quick Fix Service. 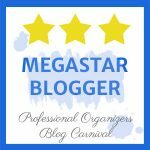 This is where you send me photos and/or a paragraph describing your current organizing challenge, and I send you advice, tips, and resources specific to your situation. Do you think Virtual Organizing would work for you? Please share in the comments below! Love to see you expanding your services – and especially excited that you’ll be offering photo organizing, family history research and home inventories – way to go! Thanks, Janet! It’s fun learning new things, and also realizing how much of what I was already doing fits in. Love this idea Hazel! I tried to do this years ago before the internet became what it is today and wasn’t successful at it. Here’s to your success! It looks like you have a good process in place. Share some testimonials when you start. I would love to see what people think about the VO process. Thanks for sharing. I will definitely be sharing. I have, theoretically, always (for 10 years) provided virtual services. But not very often, and not very well. Sometimes it worked, sometimes not so much. But I feel better equipped now. And I have clients who can relate to technology and virtual-ness better now. I like your point about VO sessions being greener! I never thought of it that way. And I completely see how it could benefit those folks who just need an accountability buddy. What a great way to expand your services! Such a great service to offer for your clients. I love the idea of it being greener even for local clients. Less driving is good for everyone! This seems to benefit both the client and you! Very resourceful, Hazel!! My business is less than a year old, so I am still trying to find what works best for me. This definitely sounds like an option to consider. I love my virtual clients. We actually get a lot done, and it is easy to reschedule if we need to. I think some people even feel a bit more comfortable/safe working with a virtual resource, so it is all good! Hats off to you Hazel, technology and myself do not mix, so i applaud anyone who can provide this kind of service for just the people you mentioned in your blog. I’m so glad this was a P.O.B.C. topic! I need to add new/more relevant services that reach a broader base of people and I think this will be my next offering. Besides the distance advantage, I consider the privacy advantage and the shorter session time to be very attractive incentives! Thanks for your thorough analysis, Hazel. Did you take special classes from your colleague Sheila Delson? I did take a class from Sheila, yes. Tell her I sent you! Hazel, you have quite a variety of services available to your clients. Love the Quick Fix service, to get them started, and the guarantee that you offer. Both are good ways to begin building trust.